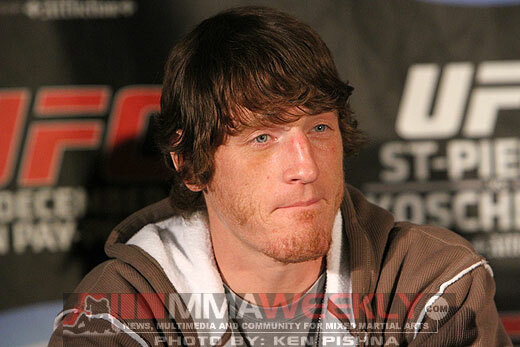 TUF season seven winner Mac Danzig (20-9) has had his fair share of ups and downs in the road as a mixed martial artist. With a record of UFC record of 4-5, Danzig doesn’t have that kind of unbelievable resume that screams title shot, but for Danzig that’s not really all that bad. Clearly, the 32-year-old wants to better his resume and improve as a fighter, and he’ll keep trying to evolve as a martial artist. But for Danzig, titles aren’t everything. It’s more than fine to just be a competitor in the sport living your dream. And as long as he’s realistic about himself and his goals, Danzig feels just fine with life, as he knows it heading into his bout with Efrain Escudero at UFC 145 this Saturday. “It all depends on your motivation for these type of things and you also have to be a realist,” Danzig told MMAWeekly Radio. Over the years, Danzig feels that some of the fans and pundits have become so ranking obsessed that they just write off talented fighters for never having held a belt. And it’s okay if you’re just a good UFC fighter that never won a title, as long as you went out there and gave it everything you had. Danzig fights for only himself and his daughter, and titles to him are only material objects and it’ll be no different come Saturday night. The journey is what’s most important at the end of the day. 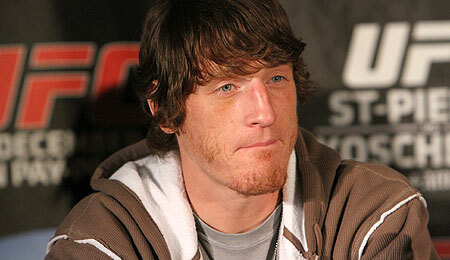 “Yeah, it is okay to be a UFC fighter that’s working hard and competing and not really worried about (the UFC title). I’ll worry about that when it comes. This whole thing is a journey for me. I do what I can every single time out, I learn from my mistakes, and I learn from my experiences; and if you don’t learn and evolve, then you just don’t. You get pushed along to the wayside but I’m just doing my thing.